Whether you use your Ipod for music, films or games we know just how frustrating it can be when the device is in a state of disrepair. In fact when we begun Pratts Pods we were the only company specialising in Ipod repairs so you can imagine that they were the life blood of our business at the beginning. 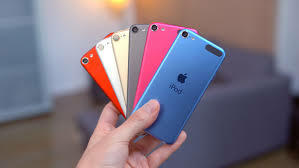 With an abundance of customers that have used us for Ipod repairs and our history as specialists with these devices we are the optimum choice for anybody that has an issue with their Ipod. Whether you need the screen replaced or the device needs a complete makeover our team of professional engineers are here to help. With guarantees on all of our work and a commitment to excellent customer service you are in the right hands for anything Ipod related.